Buckhead Forest - Attic (Possible 4Th Bedroom). Fenced, Flat Back Yard. Hurry! MLS#8551201. Clickit Realty Inc..
North Buckhead - French Doors Off The Terrace Open To An Exclusive And Serene Setting With Pool And Jacuzzi, Ideal For Entertaining Or Just Relaxing And Taking In The Beauty This Spectacular Home Has To Offer. MLS#8549619. Compass. Buckhead Village Lofts - Sophisticated And Elegant Total Renovation In The Heart Of Buckhead.This Condo Is Within Walking Distance To Buckhead Atlanta,Whole Foods,The Atlanta History Center, And Numerous Restaurants And Shopping Options.It Features An Incredible Marble Chef'S Kitchen With Stainless Appliances,Sub-Zero Refrigerator, And Induction Cook Top.There Is Whole House Automation That Runs The Lights, Security, Electric Blinds, And Sonos Sound System.There Are Dark Hardwoods Throughout And 2 Balconies With Skyline Views.This Incredible Renovation Has Every Luxury Detail You Would Expect! MLS#6522788. Harry Norman Realtors. 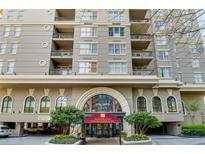 Paramount At Buckhead - Walk To Marta, Lenox & Phipps Malls And Top Restaurant. MLS#6524676. Coldwell Banker Residential Brokerage. 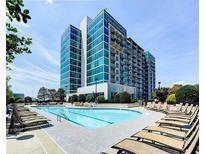 Buckhead Grand - Other Amenities Include Pool With Waterfall, Sundeck And Grilling Area, State Of The Art Fitness Center, Yoga And Pilates Room, Wine Cellar And Tasting Room, Concierge Services, 24 Hour Desk Attendant And So Much More. MLS#6522986. Beacham And Company Realtors. 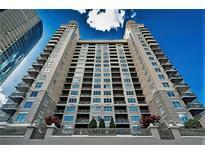 Eclipse Buckhead - Located In The Heart Of Buckhead. Walk To Restaurants, Shops & Entertainment. MLS#6521920. Palmerhouse Properties. 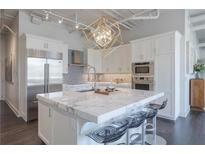 Buckhead Village Lofts - Unit Comes With A Covered Parking Space, Storage Unit, 24 Hour Concierge And Fabulous Amenities! MLS#6521133. Ansley Atlanta Real Estate, Llc. Eclipse Buckhead - Building Amenities Include 24/7 Concierge, Fitness Center, Pool, Clubhouse, Valet, And Convenience Store! MLS#6521037. Harry Norman Realtors. 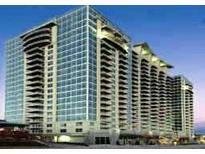 Buckhead Grand - 5 Star Of Amenities Including Concierge, Sky Lounge, Spa, Pool, Fitness Center, Wine Cellar And Much More. MLS#6520617. Trustus Realty, Inc..
Pine Hills Buckhead - Easy Access To Everything You Love In Buckhead Including Entertainment, Shopping, And Dining. 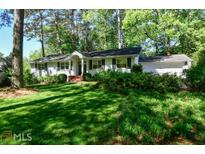 MLS#8543333. Keller Williams Realty. Buckhead Grand - 24-Hour Concierge, Sky Lounge Bar, Saltwater Pool, Gym, Spa, And Club Lounge/Pool Bar, Grilling Area And Guest Suite! MLS#6517439. Therealestateexperts.Com. 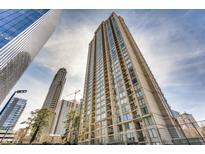 Eclipse Buckhead - Shops Of Buckhead Mere Steps Away! MLS#6518806. Keller Williams Rlty-Ptree Rd. Villa At Buckhead - Only Steps From Lenox Mall, Phipps Plaza, Marta, & Multiple Fine Dining Restaurants. MLS#6518026. Keller Williams Realty Intown Atl. 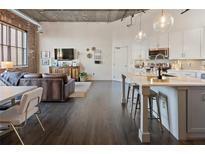 Buckhead Village Lofts - Just A Short Walk To Restaurants, Shops And Dining! MLS#6518333. Keller Williams Rlty, First Atlanta. Fenced Backyard W/ Designated Play Set Area. MLS#8541364. Keller Williams Rlty. Buckhead. Buckhead Collier Forest - Plus Community Garden, Compost Station, Dog Parks, New Club Room & Gym. Model Home Pictured. MLS#6516780. Ansley Developer Services, Llc. 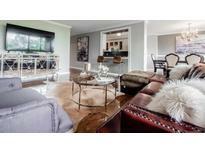 Buckhead Grand - 5-Star Amenities:Sky Lounge W/Bartender Service,Guest Suite,Pool Bar In Summer,Doorman/Porter,Mirrored Yoga Studio,European Spa,Wine Cellar,Yoga Studio,Salt Water Pool,Pet Walk,Private Massage Room MLS#6516827. Berkshire Hathaway Homeservices Georgia Properties. Buckhead Forest - Hoa'S Less That $300/Month And Includes Water And Trash! MLS#6515545. Harry Norman Realtors. North Buckhead - Secondary Bedrooms All Feature Built-In Cabinetry And Private Baths. MLS#8537799. Re/Max Prestige Realtors. Eclipse Buckhead - You Step Onto South Facing Balcony With Unobstructed Skyline Views, Before Sinking Into The Professionally Designed Interior. MLS#6514284. Beacham And Company Realtors. 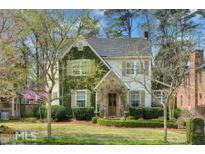 Tuxedo Park Buckhead - Tba MLS#8533949. Re/Max Around Atlanta.